It’s not only what you think. It’s who you share it with. Great ideas evolve when diverse minds work together. We welcome members from around the world who bring unique experiences and points of view that spark constructive economic debate. 2018 Best CEP Article Award Announced! 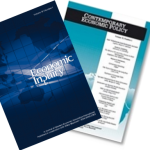 "It's About Time: Effects of the Affordable Care Act Dependent Coverage Mandate on Time Use"
Published in the January 2018 issue of Contemporary Economic Policy. Published in the January 2018 issue of Economic Inquiry as part of the Symposium Engineering Data on Individual and Family Decisions Over the Life Cycle, edited by Andrew Caplin. Papers are welcomed from researchers-at-large as well as participants at the conference. 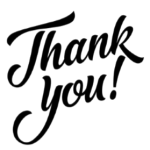 We now give authors the opportunity to provide previous decisions, reviews, and a response to the decision and reviews. 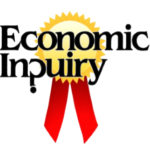 Jason R. Blevins, Ross Doppelt, and Daniel B. Jones are recognized for their timely decisions along with high quality feedback which are hallmarks of Economic Inquiry. 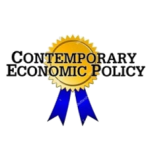 Daniel Leeds, James Conklin, and Brady Horn are recognized for their timely decisions along with high quality feedback which are hallmarks of Contemporary Economic Policy.